On display at the FTMTA farm machinery show in Punchestown for the first time in Ireland will be the new Class Arion 400 tractor. Class says with its unique and striking Panoramic cab, it sets a complete new standard for cab visibility. 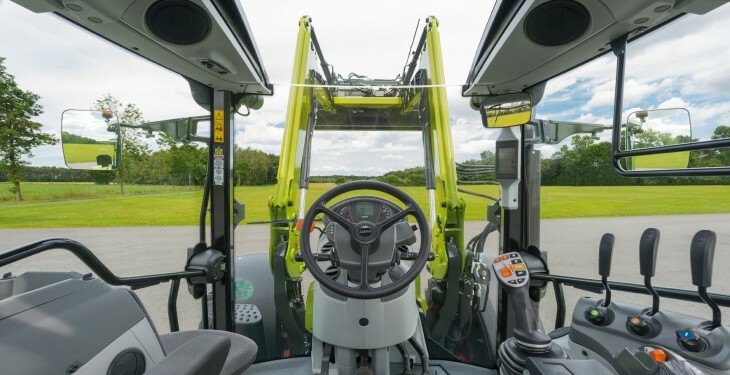 According to Claas the new cab features a one piece windscreen, that is joined to roof pane without a crossbeam. 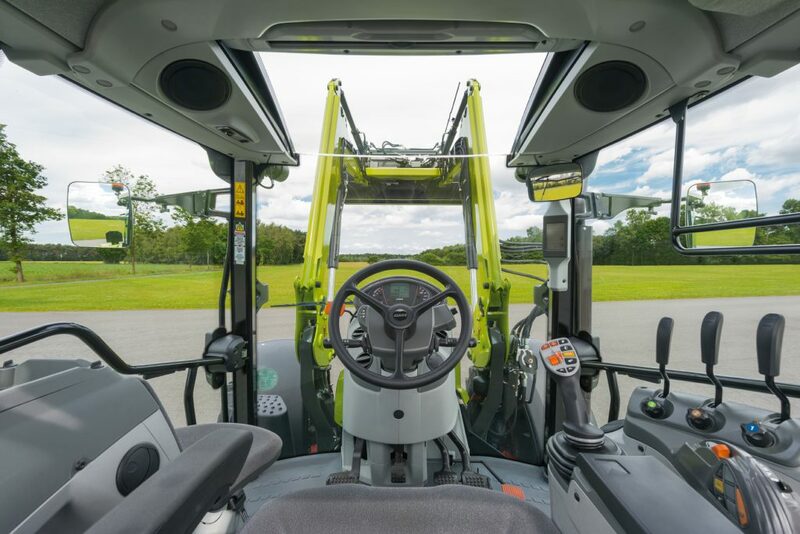 This gives the operator an unrestricted 90 degree field of vision over a front loader and gives the cab a large feeling of space that is unprecedented, it says. Claas recently won two golds at the SIMA innovation awards, for its panoramic cab concept which is on the Arion 400 tractor it produces. Claas says the new design for the Arion 400 maintains the even weight distribution that is a common feature on its tractors. The Arion 400 also features a ‘wasp waist’ design to the bonnet, which allows a tight turning lock for maximum manoeuvrability and also provides plenty of space above the front axle for the radiator assembly. According to Claas the Arion is built around a solid cast frame with integral oil sump. It says where the Arion is to be used with a front loader, the brackets can therefore be bolted directly on to the engine frame and transmission, and a front linkage can be fitted to the front chassis, ensuring maximum stability and ease access for servicing. It also says that Proactiv front axle suspension is also available as an option for models over 90hp. This, it says has a steering lock of 55 degrees and when activated provides independent suspension with automatic height control.